Balance Body & Soul Nutrition // Health Tips Blog // Back to Basics – Sprout Your Own Food! 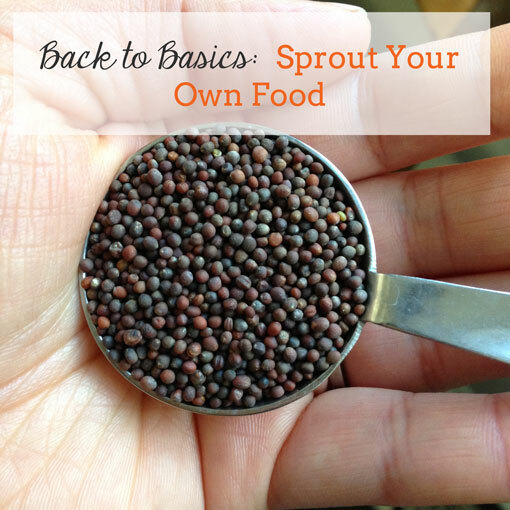 Back to Basics – Sprout Your Own Food! In the midst of a bitterly cold January in Canada, it’s unlikely that you’re growing much food of your own. Sure, if you're in Toronto you can hit up markets like Evergreen Brickworks, Dufferin Grove, or Wychwood Barns to grab food grown by local farmers, but most of the fresh stuff these days comes in the form of root vegetables, squash, or fruit that holds up in cold storage. Sprouts are a great way to add fresh green food into your diet, but purchasing organic (or even non-organic) sprouts on a weekly basis can get pricey, especially if you want to have more than one variety on hand. I’ve been consumed with whipping my family budget back into shape this month, and while there are many areas that can be trimmed, our food spending is a natural place to put some focus because of how much control I have over what we spend, unlike things like utility bills. I shared some ways to have a healthy diet and home on a budget in a post for Green Moms Collective recently, and as I was writing down my ideas I realized that I had fallen out of the habit of sprouting. I’m not sure when, or even how it happened, but it was time to make my sprouting game strong again. It’s so simple, and takes barely a few minutes each day to do, yet after 4-6 days you have an entire jar full of fresh food that you’ve grown on your counter! You can sprout just about any unsplit seed, but by purchasing sprouting seeds that have been cleaned you avoid pathogens, like E. coli. 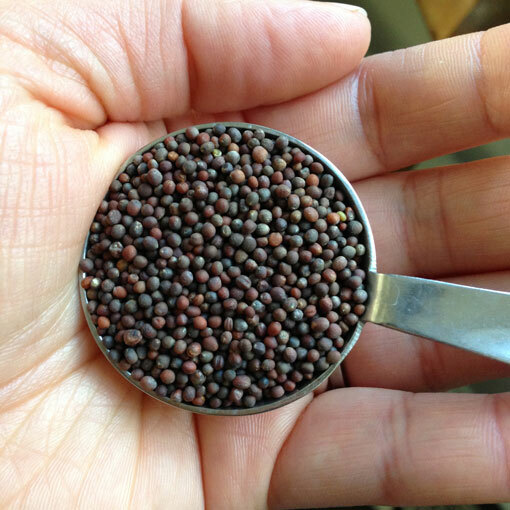 Seeds from companies like Mumm’s and A. Vogel can be easily found in most health food stores, as well as in the natural food section of some major grocery stores. 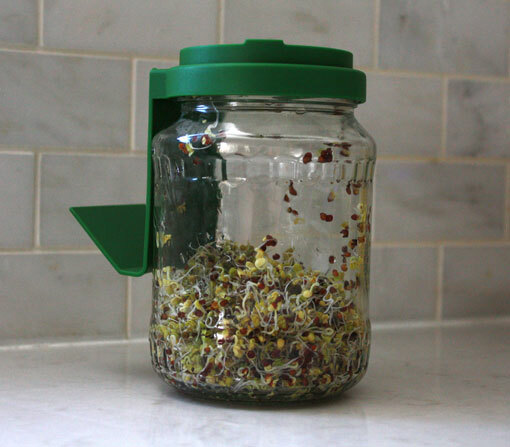 Put 1-2 tbsp of seeds in your sprouting jar, rinse with water, and drain. Fill the jar back up with enough water to cover the seeds by 2-3” and let the seeds soak (out of direct sunlight) for 8 hrs. Drain and rinse the seeds well, then cover the jar with your cheesecloth or mesh (or put the lid back on your soaking jar like the one pictured below by A. Vogel) and place the jar in a bowl on a 45 degree angle to allow constant draining and air circulation. Rinse, drain, and invert your jar twice daily, keeping it out of direct sunlight. 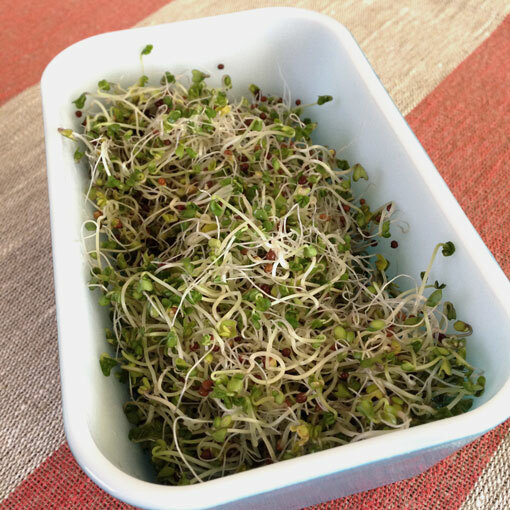 Most sprouts are ready after 4-6 days (grains and legumes only take a few days before the tail shows) and can then be stored in the fridge in a container on an absorbent cloth for 5-7 days. Sprout a few varieties at one time and you’ll have different flavours to choose from! Anything that would benefit from the fresh crunch of a little raw food! 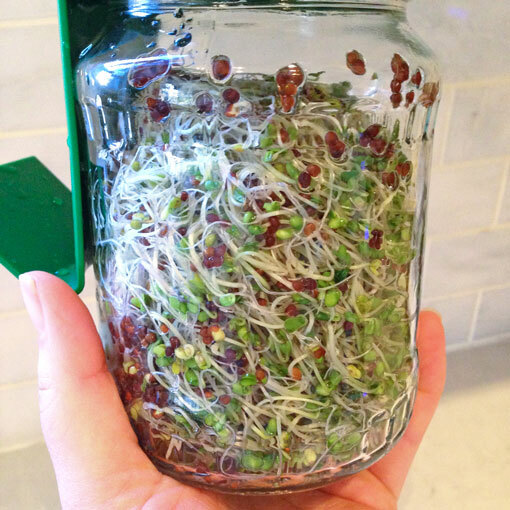 Sprouting is an inexpensive way to have fresh food available on a regular basis, and all you need is a few minutes each day and a little corner on your kitchen counter. Give it a try!